Will Russian cosmonauts land on the Moon? A report by one of the Roscosmos state corporation departments suggests that Russia’s first expedition will go to the Moon in 2031 after which Moon landings will become annual events. A preliminary flight around the Moon by a manned spacecraft will take place in 2028 or 2029. A lunomobile (a heavy moon rover that can be controlled by humans) is expected to be delivered to the lunar surface in 2032 while the second expedition of Russian cosmonauts will operate it. Construction of a lunar base will begin in 2034. 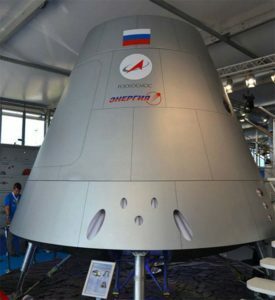 Yenisei super heavy-lift launch vehicles will be used for Moon flights.